France is now the new getaway paradise for the jet-set 60 year-olds and above with the upturn of taxes and falling pension values in the U.K. and the U.S. Compounded with recent trend of divorce among this age group in the UK, which according to the Office of the National Statistics rose by 4.2% to 11,507 in 2009, had prompted the rise of active living resorts in France, observes real estate developer Danny Silver. “Over the past few years ‘silver separations’ have been on the rise in the UK and a motionless housing market, falling pension values and Osborne's latest budget could well put further pressure on divorce rates. Of course, nowadays, the attitude of the older generation has changed. Rather than being scared to move on many will now view their 60s as an exciting new stage in their life pushing them to re-assess their lifestyle whether that be taking up a new hobby or relocating abroad,” notes Mr. Silver, who is managing director of the French real estate, Villages Group. It is not just the UK that is seeing a surge in third age divorce rates. In the US one in four of all divorces now involve people aged between 50 and 64 according to data compiled by American Association of Retired Persons (AARP). Indeed, the change in marital composition of this age group highlights that policymakers can no longer concentrate solely on widowhood in later life but pay attention to the never-married and divorced. In the UK, the government has been consistently called on to invest in social care and housing allowing those in their third age to remain living independently. With this in mind, Danny Silver believes that the Villages in France provide the ideal lifestyle choice. 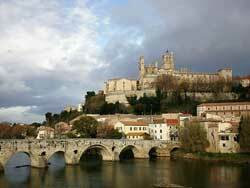 For those in their third age contemplating a move overseas, the Languedoc-Roussillon region in France will make for a wonderful place to relocate. Chosen for its three C's - climate, coast and countryside as well as being one of the best places in the world to go canal boating, Languedoc is one of the most visited parts of south west France. Mr. Silver’s the Villages Group has established one of the prominent active living resorts in , the Languedoc-Roussillon region in France. It is also the site of the UNESCO World Heritage Site of Canal du Midi, one of Europe's longest and widest canal systems. "Perfect for those who are in search of a new life, our active living resorts suitable for anyone over the age of 50 provide services and amenities that encourage an active, happy and healthy lifestyle focussed around a strong community of like-minded individuals. Our Village resorts across France will provide a lifestyle that we believe will be most attractive to active 50+s who want to live their lives to the full in one of the top ten expat countries in the world, one that affords a relaxed pace of life, stunning natural landscapes and affordable costs of living,” he further explains.